Good news for the caffeine and coffee fanatics! 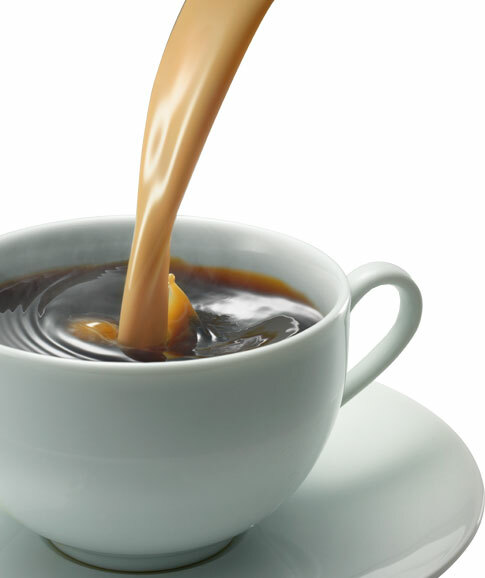 Your morning cup of coffee that you simply can’t live without is reducing your risk of skin cancer. A recent study of nearly 113,000 men and women found those who drank three or more cups of coffee a day had a 20 percent lower risk of skin cancerthan those who said no to Joe. Nearly 2.8 million are affected by skin cancer each year, according to the Journal of Cancer Research, but if detected early it can be cured. According to Dr. Josh Zeichner, assistant professor of dermatology at Mount Sinai Medical Center in New York “Caffeine may help the body kill off damaged skin cells." He explains that exposure to ultraviolet light from the sun can damage skin cells' DNA. "If you get rid of these cells that are damaged, then they don't have the opportunity to grow and form cancers." Drinking caffeine through others sources besides coffee such as tea and chocolate, are also linked to a decrease in skin cancer,according to the study. Drinking Caffeine has not only been linked to decrease in skin cancer but has been linked to less risk of type 2 diabetes, Parkinson's disease, and dementia. Although you should notdrink caffeine specifically for health purposes, numerous researches has shown that drinking coffee has shown more benefits with those that do drink caffeinethan those that don’t. Protection is the number one defense method for skin cancer and if detected early can be cured. As summer sizzles and more time is spent outdoors, remember to use a broad spectrum sunscreen every day to prevent the risk of skin cancer. Common signs of skin cancer include pearl or waxy bumps, flat scaly lesions and moles that change in color. Skin Cancer effects people of all skin tones and ethnicities, therefore it is important to know your risks. Whether you are a caffeine drinker or not,always protect you skin to not only look better, but reduce the risks of cancer. Happy Skin equals Happy Health. Although this news is great for the caffeine fanatic it is important to remember to not overdo it and keep your caffeine consumption to a minimum.